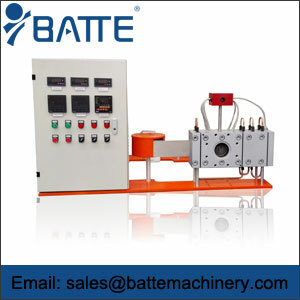 Double-plate continuous screen changer with double working station realizes a screen changing by altering two plates with double filtering areas while keeps the continuous extrusion producing.So it is also be called double plate double working station screen changer. 1.Design allows for continuous screen changer without interrupting material flow. 2.Continuous production and filtration process during screen changing, no obvious fluctuation on extrusion and greatly improve production stability and quality. 2.Simple operation and simple screen changing, continuous working. 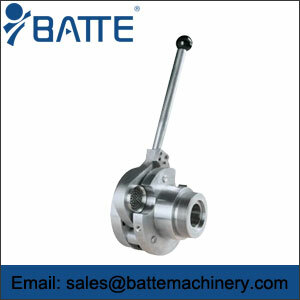 3.Easy maintenance, leak-free processing, endures precises processing, high product quality and reduced waste materials. 4.Unique sealing design improves seal ability and durability. 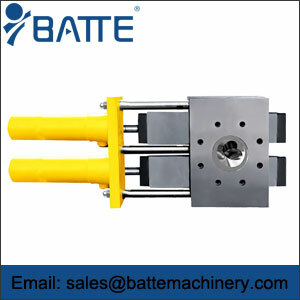 5.A type of hydraulic screen changer. 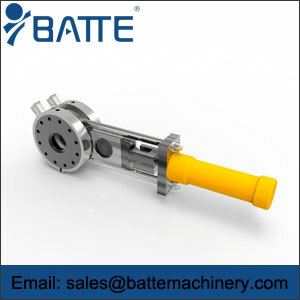 1.Double plate double working station screen changer suitable for the extrusion processing of most polymer materials. 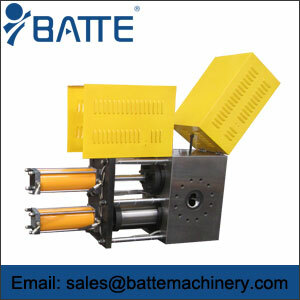 2.The double working station continuous screen changer can be used for pelletizing, pipe, sheet, plates, casting film and so on.